A mother whose baby son died days after leaving hospital is asking questions about the care she received as the health board involved has confirmed it is investigating maternity cases. Twenty stillbirths and six cases of babies dying shortly after birth are being investigated by Cwm Taf health board in south Wales. Monique Aziz wants to know if baby Jesse's death in 2016 was involved. The health board said findings will be shared once the inquiry is complete. 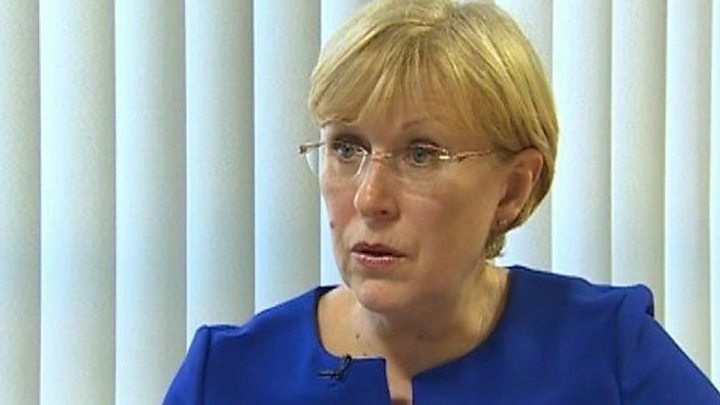 Health Secretary Vaughan Gething has ordered a review into the health board. Ms Aziz, from Coed-Ely, Rhondda Cynon Taff, said: "I just want to know if he would have still been here if things had been done differently." She was induced amid health concerns 37 weeks into her pregnancy and she underwent a caesarean section five days later at the Royal Glamorgan Hospital in Llantrisant. Ms Aziz said that despite initial worries about Jesse, tests were carried out and the pair were allowed home the following day, although she remained concerned about her baby's health. Jesse became unwell and he was rushed to hospital and died after six days from an infection. "I just felt really let down," she said. A health board spokesperson said: "We cannot comment on the individual cases but we are reviewing each one in detail to establish that they were appropriately investigated and reported at the time. "Once completed the findings will be shared in full with the families involved." The health board confirmed on Thursday that it was looking at 43 cases with "adverse outcomes" from the start of 2016 until last month. It was triggered after the health board had concerns that staff were not reporting or flagging up serious incidents. It saw 10,000 births across the south Wales valleys in that period. The health board said it had been "very challenged" to keep staff numbers at the right levels but it was taking "positive actions" to strengthen the workforce, including recruiting 15 new midwives. Mr Gething said on Friday he recognised that the health board was taking steps to ensure "services are supported with immediate effect". "Given the seriousness of this situation, I have decided that an independent external review should be commissioned by the Welsh Government," he said. Cwm Taf health board covers 300,000 people living in the south Wales valleys, with maternity services at Prince Charles Hospital in Merthyr Tydfil and the Royal Glamorgan Hospital. Prof Angela Hopkins, interim director of nursing for Cwm Taf, has said: "We've undertaken a review to look at cases when the outcomes for pregnancies was a very sad stillbirth or complication of the pregnancy such as haemorrhage following birth. "We want to offer families our commitment to providing a safe service going forward. "In the cases we're identifying issues, we will be in touch with the families and supporting the family with an apology and the redress system." A spokeswoman for Health Inspectorate Wales added: "We have been kept informed by Welsh Government and Cwm Taf University Health Board about issues regarding maternity services and will be considering this information fully before making a decision on any action."